43 inch TVs are popular because they are big enough to provide the large screen experience without taking over a room. They are also cheaper than their larger screen cousins, but generally offer the same range of services and options. Thats a great deal in my book. Looking for something even smaller? 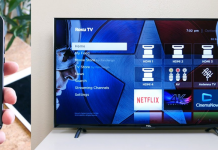 Try this review on the top 32-39inch TVs! If you dont have any special model or brand in mind then shopping for a new TV can be a challenge, so I wanted to help out. Before you make any decisions take a look at this list of top ten 43 inch TVs. Ive put it together for you after hours of online research, looking at specs, videos, websites and reviews and covered all the important things, like price, picture quality, and sound. Looking for something bigger? Why not try one of these top-rated 49 Inch TVs! How Wide Is A 43 Inch TV? 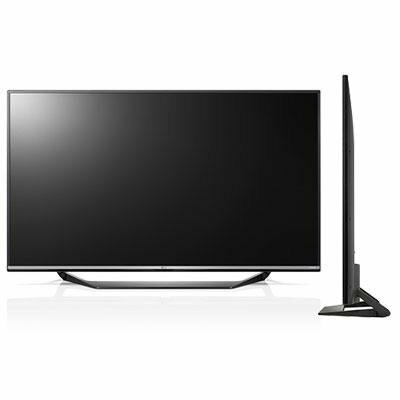 Which 43 Inch LED TV Is Best? How Much Is A 43 Inch TV? 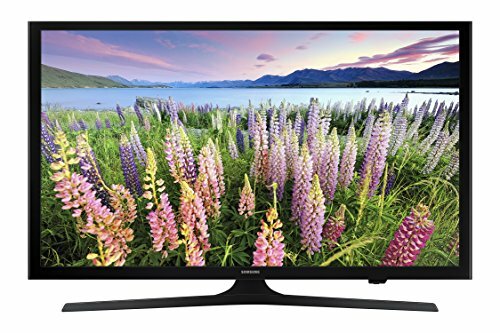 How Much Is a Samsung 43 Inch TV? 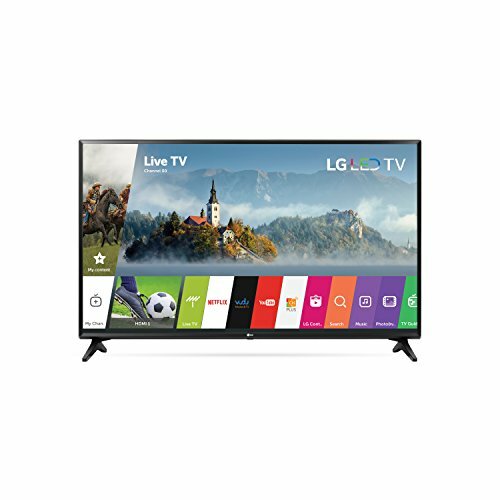 How Much Is an LG 43 Inch TV? 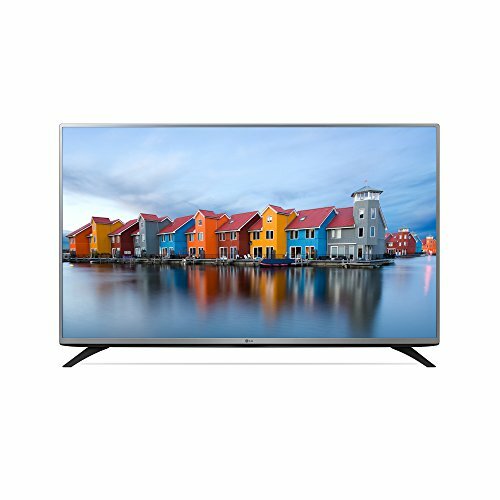 Which 43 Inch TV Should I Buy? 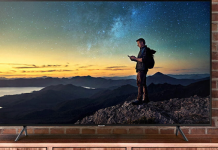 Some TVs are all-rounders, others are especially good for serious gaming or major movie fans so whatever you are looking for this buying guide is going to help you sort through the choices, and make a great decision on which 43 inch TV is best for you. VIZIO Internet Apps Plus means easy access to the top films, music, TV and apps. 5 Active LED Zones make all the colors pop. 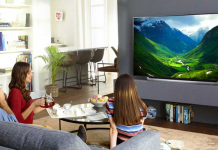 Samsung may be launching an updated model of this popular TV later this year, but buying the current version wouldnt be anything like settling for second best; in fact it means there are some excellent bargains on both used and new models to be had. This stylish black model makes TV viewing a real pleasure, with 4x the average HDTV pixels delivering top-notch picture quality, aided by the 120 motion rate. Its not a surprise that buyers rave over contrast ratios the 4K HDR Pro feature is responsible for the vivid colors on screen. This 43-inch 4K TV comes equipped with 3 HDMI, 2 USB and an Ethernet port, plus several other inputs, but note that a HDMI cable is not included. Why We Liked It - We especially appreciate the remotes voice control option and the very generous range of inputs and outputs on this 4K TV. See more 40 Inch LED TVs here. Bargain hunters willing to compromise on certain extras will love this Samsung LED Smart TV with built in Wi-Fi. At a lightweight 19 pounds wall mounting is no effort, and with its sleek black finish this would look great in any room. The full HD high-res picture (1080p) is something many buyers praise a lot, and an eco-sensor monitors screen brightness to save energy where possible, which is a nice touch. This is a solid build TV which is great value for money and comes with a more than adequate internal sound system; a bargain if you can live with just 2 HDMI ports and a good quality, but standard, remote control. Why We Liked It - We especially like the option of screen mirroring between this and a mobile; a great way to view your cellphone photos and videos, or enjoy the internet on a big screen. Vizio may not be the first name that comes to mind when shopping for a 43 inch TV, or any TV at all perhaps, but dont let that put you off. 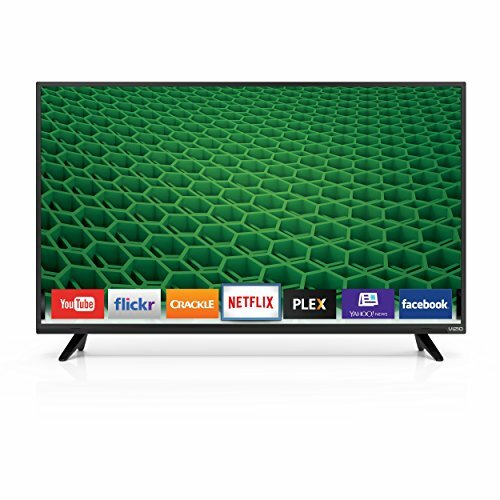 This beauty of a Smart LED TV is an absolute bargain bought brand new, and it offers budget buyers with middle budget expectations a great deal. Lets start with the picture quality with its full-on LED backlight both black and colored tones display crisply and contrast issues are not a concern. It delivers equally well on motion rates thanks to Clear Action 240. Therell be no complaints from sports and action movies and TV show fans, or any gamers in the house as it also boasts a 120 Hz effective refresh rate. + VIZIO Internet Apps Plus means easy access to the top films, music, TV and apps. + 5 Active LED Zones make all the colors pop. Why We Liked It - Theres so much to like with this budget TV, but the 5 HDMI ports with both 1.4 and 2.0 versions and both 30/60Hz options on a TV this price is a real stand out. With an updated version of this TV due out soon this one is no longer in production, which makes it a great time to scout about and grab yourself a great quality model for a bargain price. 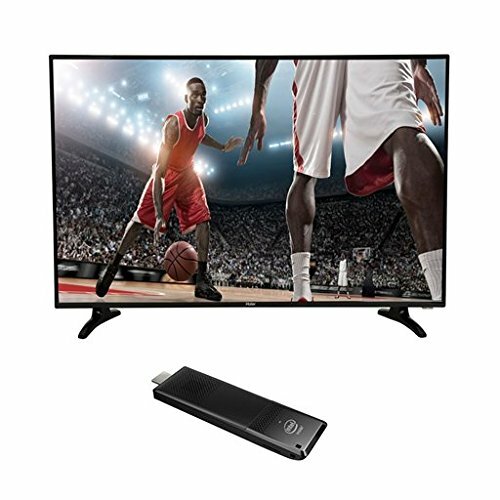 This comes with all the usual Smart TV functions, is incredibly easy to set up, and although at 39 pounds its not the lightest TV around thats a point you can easily forgive considering all its good points. The picture quality is outstanding, and the sound quality is fine without add-ons in most circumstances. 2 HDMI ports and the usual USB, RF, Ethernet, Component and Composite inputs are included, but HDMI or AV cables are not. Why We Liked It - Based on the amazing picture and sound quality we recommend this for avid TV show and movie watchers who want a good bargain, either as a main or supplementary set. Samsungs 43-inch version of this Smart LED TV has a lot of plus points, with a few quirks which make it an excellent bargain in the lightly used TV market. This is a full HDTV with built-in Wi-Fi and a handy ConnectShare feature which lets you upload directly to the TV from a flash or external hard drive via the USB port. The picture quality is good, and decent refresh and motion rates make this a viable choice for both film and gaming fans. With its standard lightweight remote (no voice activation), basic design and wide/stable stand this would be a great purchase for a child or teenagers room. Why We Liked It - We recommend this as a great buy for a first TV (for college or your teenager at home); as it has all the essential qualities you want from a TV without being over the top. This LG model may be from 2015 but it still packs one heck of a punch in the best (non-Smart) 43 inch TV champions league, and the prices for used models reflect that. Buying new, used or refurbished this is an investment piece that wont disappoint. It boasts an edge-lit LED display, hi-spec resolution stats, and is designed to deliver the same top quality viewing experience from multiple viewing angles. Previous buyers describe the picture quality as crystal clear. This is a no-nonsense product that makes watching TV shows and films a pleasure. It is a top contender for buyers who arent looking to attach multiple devices at the same time, (this has 1 USB, 1 HDMI, 1 Component in, 1RF in, and 1 AV in), or interested in voice controlled remotes and other Smart TV features. + Top quality viewing experience from multiple viewing angles. Why We Liked It - We like that this 4K TV can self-diagnose any technical issues it is having, and store the information received for you to download onto a USB and pass on to an engineer. This means both diagnosis and remedy of many issues can be done remotely. Although LG no longer make this 43-inch model it is still a great buy in the used marketplace. This Smart 4K TV has lots of modern features, as youd expect from a Smart LED TV, including a much-praised picture quality, with 4 times the resolution of an HD TV. One of the key selling points of this Smart 4K TV is a screen which delivers the same high-quality viewing experience to everyone in the room, regardless of where they are sitting, which is a bonus for those of us with awkwardly shaped rooms or large families. Input options are not overly generous, but enough for the average user. + TruMotion 120 (Refresh Rate 60Hz) No compromise on action here. Why We Liked It - We highly recommend this 43inch Smart 4K TV to buyers who find standard internal speaker systems disappointing. That is most definitely not the case here, perhaps because there are 7 of them! This is an easy TV to set up and use, with an intuitive remote to help. The addition of webOS 3.5 operating system makes accessing your favorite content a breeze, and gamers will appreciate the good refresh rate which tackles motion blur issues. Why We Liked It - Theres much to love here, but we especially like the Magic Mobile Connection available to download free via the LG TV Plus app to your smart device. Simply link that to the TV to share your pictures, vids or other content on a huge screen. This lightweight LED TV in black with a stylish silver edging is a solid choice for a second or bedroom TV, or as the main set if a high-quality model with basic features is what you prefer. LG is targeting a mid-budget audience with this model, and at three years old now there are some good bargains to be had when buying, and it is definitely one to go for. It rocks the ratings for a non-Smart TV, and suits those with simpler tastes and needs. Its not exactly stingy with in and outputs, though just 2 HDMI ports may challenge those with a lot of extras to connect though again that is not really the target market so it shouldnt be much of an issue. + Does not have a digital optical audio out. Why We Liked It - We recommend this budget tv as a great buy for find all ports being on the back of a TV inconvenient. On this model one HDMI port is on the back and the other is on the side. Haier may not have the name recognition of top-punching competitors like Samsung and LG, but this Chinese multinational is gaining ground fast. This 4K LED TV had a release date in 2016 but has plenty of life left here; it even boasts HDMI/4K video support and HDCP 2.2 copy protection for better Blu-ray viewing. The picture quality is top notch too, as youd expect from 4K Ultra HD, and if the speaker size compromises sound in a larger space theres scope to connect your own system, which many people choose to do either way. 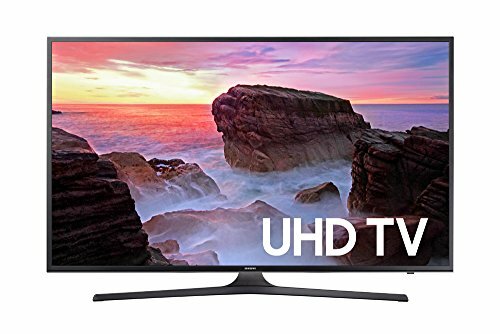 This 4K LED TV is a good solid 4K TV with a price tag that makes it an easily affordable second or third TV. So you are looking to buy a new TV, and have settled on something with a 43-inch screen. Thats a good choice if you dont care to lose the wall space and extra cash a bigger screen model would demand, and its still a really big screen. TV shopping can easily give you a headache as you wade through endless and sometimes unfamiliar terms like 4K resolution, refresh rates, contrast ratios and HDMI ports, so dont let yourself be bamboozled. The first rule is to know your budget. With an upper figure in place you can avoid wasting time looking at unrealistic models. See our favorite budget 4K TVs under 500 bucks! Secondly, know what you want. Good picture quality is always important, and naturally 4K Ultra HD TVs boasting 4x the pixels of another (for a higher price tag) sounds more attractive, but while having 4K resolution is nice it doesnt mean regular HD TVs are not good. On a 43 inch screen you may not even get the full 4K resolution benefit so be open-minded. Refresh rates of 120Hz are ideal, but they matter more to gamers than someone who mainly watches TV on the screen. HDMI ports and other in/outputs are worth thinking about, as TVs do vary drastically in what they offer. If you need to plug lots of things in this isnt worth compromising on or you will soon be upgrading. Smart TVs have different options dont pay for things you know you wont use or dont want. 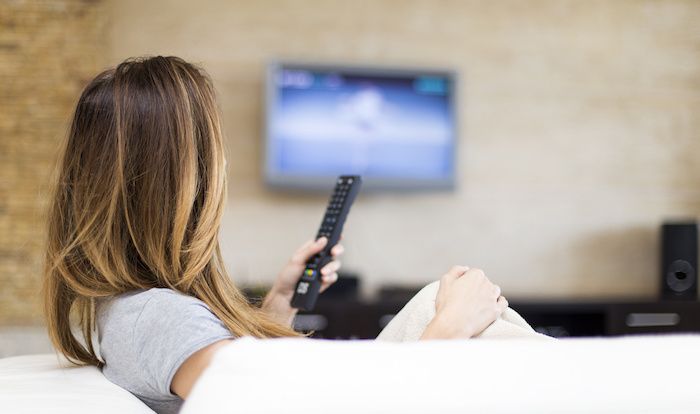 Plus may non-Smart TVs can be adapted to do more than you would think so check that out first. Every 43 inch TV model has a different type of sound system. Some are quite basic, others state of the art. Some are fine in general but need a boost in larger rooms, and a few have no outlet for an external system, which can be a nuisance. As sound is key to using a TV make sure you are happy with what yours can do. Theres thing as exciting as unwrapping a new TV, although perhaps actually sitting down to watch it or use it as a monitor is pretty close. With your wishlist and this buying guide to the best 43 inch TVs around right now you are almost there. Happy shopping! Because TVs are always measured diagonally from the top left of the screen down to the bottom right, (or the opposite way), that is the 43-inch figure you see advertised. The actual TV screen will be around 37-38 inches wide, and with the surround it could be a little bigger. Always check the stats on a model for the true width before buying, to make sure it will be a good fit. Of the top ten 43 inch TVs featured here LGs 2017 43LJ5500 Smart LED TV is the best all-rounder. Naturally the picture and sound quality are excellent, but its also got lots of useful apps and clever functions that are easy to set up and understand. Add in a very reasonable price tag and theres no serious competition. 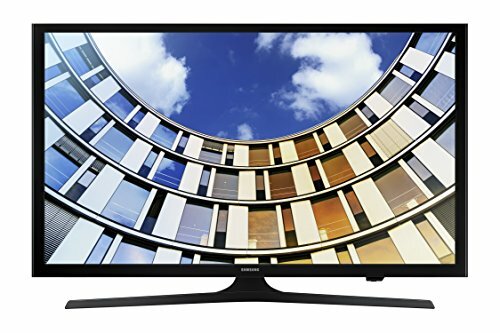 Lesser known names like TCL or Sceptre sell cheap 43 inch TVs, mostly around $200 on Amazon Prime. The cheapest big brand names are around $60-80 more. The average cost of a Smart LED TV of this size is around $300-500, but there are plenty which will cost a bit more. See the top tvs for under $500 here. If you want a specialist kind of 43 inch TV, say something weatherproof for outside use, expect to pay a couple of thousand dollars. Prices vary quite radically between sellers, and it also depends on the age and specs of an individual model. However, on average you could expect to pay anywhere from $200 500 for a new Smart 43 inch Samsung TV, including those featured here. Older Samsung TVs may be cheaper, or reduced to around the same price but offer more functions. LG 43inch TVs prices are very similar to their rival Samsungs, with newer models costing around $200-500 each, depending on the exact specs. If you are looking at an LG model which is much more than this check out exactly what you are getting for the extra payment. That really depends on two things your budget, and any definite must-haves that you wont budge on. Choose one or two essential factors, say good built-in sound system and lots of HDMI ports, then buy the best quality model you can afford to. It may be worth choosing an older model to get the top class features you care about. Stay focused as it is easy to get excited about a TV with lots of extras, pay more, then find you really dont need and will never use. Also check out things like the depth of each 43 inch TV important if you are mounting it on the wall. Are the ports easy to get to? A TV is a fairly major investment, and something you will probably use most days so buying the right one is important. Shopping with a good idea of what you really want from a 43 inch TV is the most important thing to remember. If you get that right everything else will follow. Whether its sound, picture, style, Smart functions, or speed this is your shopping experience, so dont cheat yourself out of a great result. If you dont plan on wall mounting your TV make sure you check out the size of the TV stand supplied. 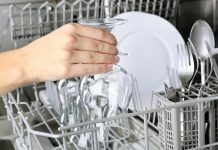 They can be considerably bigger than you expected, so make sure the entire thing will fit where you plan to display it.